You can make one deposit or a few smaller deposits that will equal to £/$/€ 50. Play the games of your choice. 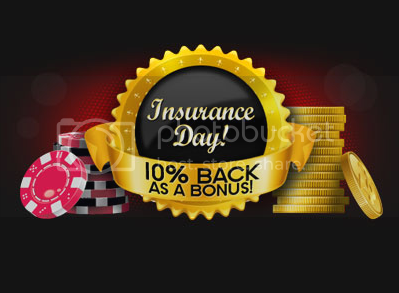 Prize: In case you don’t strike it lucky, we’ll give you 10% back as a bonus! So no matter what the outcome, you win! we’ll insure 10% of your deposits! We’ve got you covered, so play today! This offer is available every Thursday, 00:00 – 23:59 GMT. during the 24 hour promotion period. This promotion is subject to the Hippozino Bonus Policy.